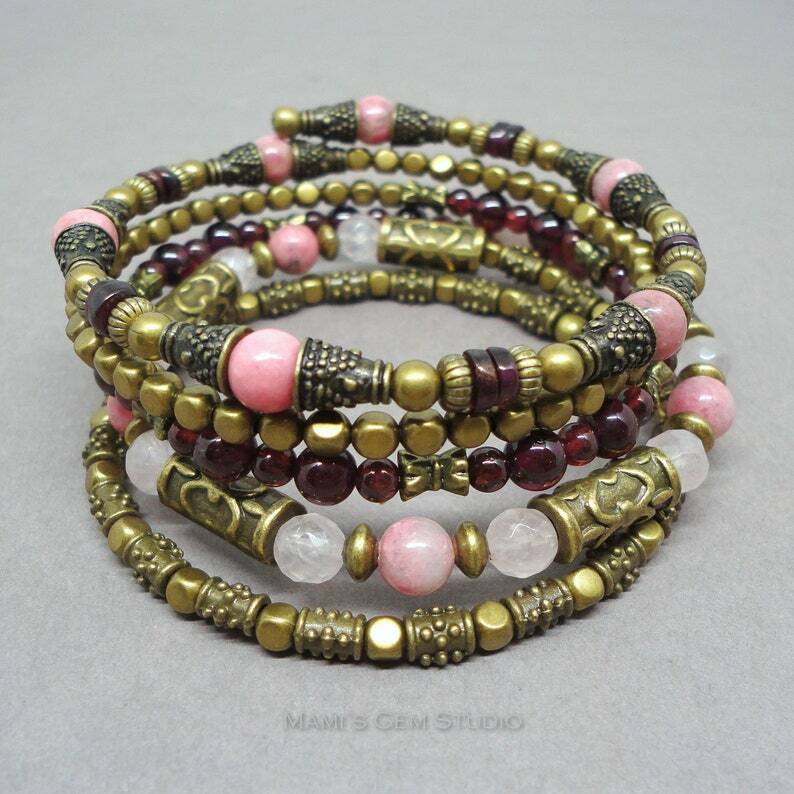 I designed and created this classy 5-loop memory wire wrap-around bracelet with authentic gemstones in high quality: Garnet in a passionate burgundy red, Rose Quartz in a delicate pale pink, and Rhodonite in a lovely opaque pink hue. I embellished the bracelet with a lot of metal beads in antiqued finish brass and pewter to add a stylish vintage look with a bit of exotic touch. The soft and flexible memory-wire makes this bracelet easy to put on and very comfortable to wear. All metal materials are lead-safe. Just stunning! Size: Fits any adult wrist size. Wow! Shipped very quickly and this is gorgeous!